NMT is a thorough program of recovery from acute and chronic pain syndromes which uses specific massage therapy, stretching, and flexibility to eliminate the causes of most neuromuscular patterns. This specific and scientific approach to muscular pain relief will help to bring about balance between the musculoskeletal system and biomechanics and it releases endorphins, the body's own natural painkillers. It can be a part of a comprehensive program, complementing all other health care modalities. Neuromuscular Therapy examines six physiological factors that may create or intensify pain patterns. The fundamental principle of NMT is that the body seeks balance. Because of physical trauma, gravity, psychological stress and repetitive strain, a pattern of compensation develops in which the muscles harden, contract and pull the skeletal frame into a distorted position. Myofascial Release is a safe and very effective hands on technique that involves applying gentle sustained pressure into the myofascial connective tissue restrictions to eliminate pain and restore motion. 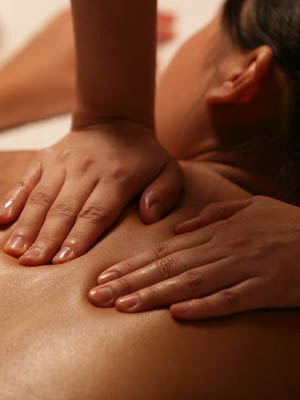 Each Myofascial Release Treatment session is performed directly on skin without the use of oils, creams, or machinery. This enables the therapist to accurately detect fascial restrictions and apply the appropriate amount of sustained pressure to facilitate release of fascia.